Which AC Maintenance Tasks Can You Tackle? When it comes to keeping an air conditioning unit up and running for decades, proper maintenance is the only way to go. There are lots of little things you should do regularly to maintain your AC, including a handful of tasks that are easy enough for just about anybody to handle. However, AC units are somewhat delicate, so larger, more critical tasks should be left to the pros. But how do you know which maintenance tasks you can do and which you should set aside for a technician? Here’s a rundown of some common AC maintenance tasks, including which ones you can take care of and which ones you should to professional cooling services. The most frequent and simple form of AC maintenance is replacing the air filter. The air filter in your central AC acts as a barrier, keeping contaminants from being released into your home while still allowing enough airflow to properly cool a room. Replacing the air filter in your AC unit doesn’t cost much money or time. The old filter simply pops out, then you can wipe the area down and replace it with the new filter. This should only take a few minutes. There are two things you have to be aware of when purchasing an air filter: the size and the MERV rating. Let’s talk about size first. AC air filters come in a variety of sizes, so you’ll need to measure your filter and make sure you buy the right size for your replacement. MERV rating describes the filtering capability of an air filter. It stands for minimum efficiency reporting value, and it essentially tells you the smallest size particles your air filter can capture. A 3 or 4 is the lowest MERV rating you should purchase, while something higher like a 12 will provide you with improved filtration. You can also check to make sure your thermostat is working properly by yourself. All you need to do is set the thermostat to a certain temperature and use a thermometer to make sure the temperature is right. If it’s not, you may have problems with your thermostat. Your central AC unit can get a bit dirty, and dirt can make your AC less efficient and give it a shorter lifespan. You can prevent this by cleaning the area around your AC unit. 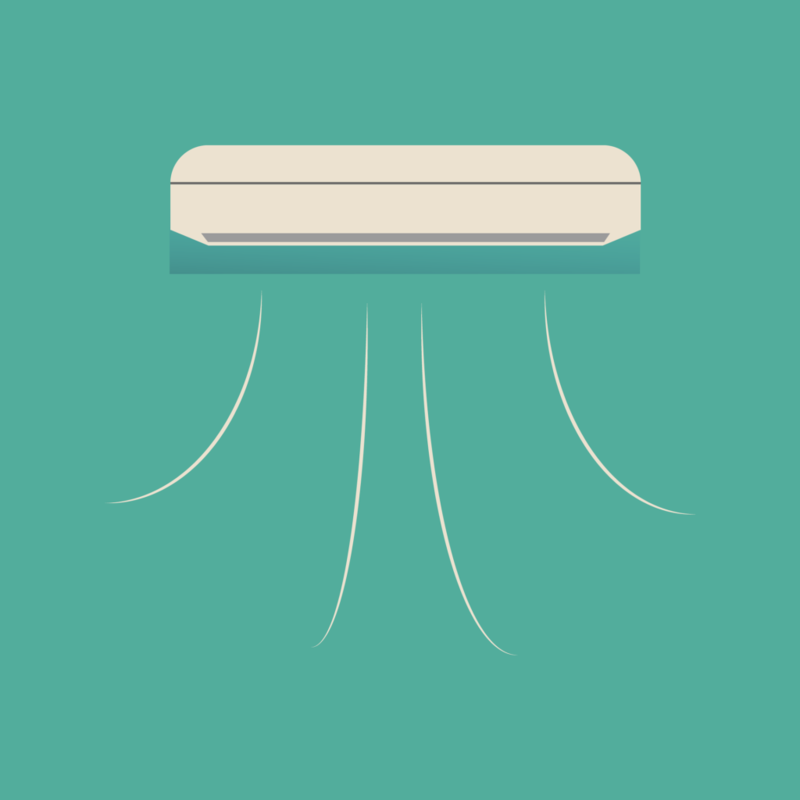 Trim any brush and other debris from around your AC. Shut off the power to the unit and use a gardening hose to rinse away debris. When it comes time for major repairs, electrical work, or other complicated procedures, it’s best to call a professional. Even if you have to spend a pretty penny to have your AC maintained, it’s nothing compared to the cost of replacing a unit that failed due to improper maintenance. A cooling professional will take the time to examine all the parts of your AC. If something is wrong, they can let you know and help you get it fixed. If you want to keep your AC running for years, proper maintenance is the only way to go.